Other groups have been paid reparations for their suffering, why should Black people be any different. 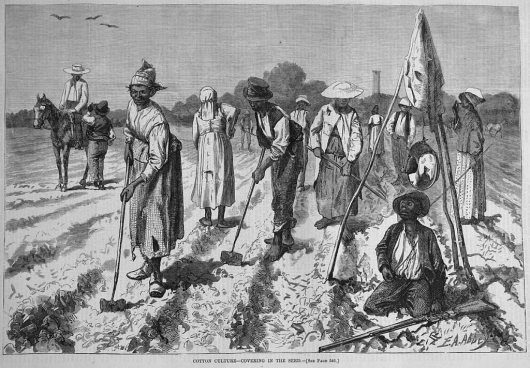 AFRICANGLOBE – The United States owes Black-Americans over $100 trillion in reparations, based on 222,505,049 hours of forced labor between 1619 and 1865, with a compounded interest of 6%. 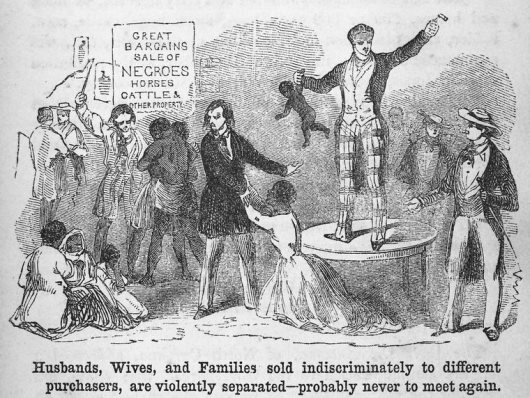 Black Americans have been enduring struggles of discrimination, lynchings, indentured servitude, high imprisonment rates from disproportionate bias sentencing, sold to the highest sugar cane and sharecropper plantation owners. And the reparations goes also for the historical impact that slavery had on African Americans even today; the loss of wealth in inheritance, land, pay, history, culture and family names. Reparations is a policy notion that many Black academics and advocates have long called for, but one that politicians have largely sidestepped or ignored. The U.S. created a reparations plan on Jan. 16, 1865 in the immediate aftermath of the Civil War that stated that freed families would be granted “forty acres of tillable land” and a mule from the Union Army. The plan, proposed by Union General William T. Sherman after meetings with Black community leaders in Savannah, Georgia, was reversed by President Andrew Johnson and the land was returned to plantation owners. After the WW2, until now, Germany is sentenced to pay reparations even to grandchildren of the victims of the Jewish Holocaust. But when it comes to Black Americans broken analogues are made “If we paid everyone for every wrong in history where would it end?”. To the Jews the flexibility of justice twist and turns to explain why Jews deserve compensation but Black Americans do not. Laws are used to obfuscate and blur issues. Recently increased activism around racial inequalities and discussions among Democratic 2020 presidential candidates have thrust the reparations issue into the national spotlight. Last week, talk of reparations made headlines after a Fox News contributor argued against the policy by saying the US actually deserves more credit for ending slavery as quickly as it did. “America came along as the first country to end it within 150 years, and we get no credit for that,” Katie Pavlich said recently, adding that reparations would only “inflame racial tension even more”. In Feb 2016, U.S. Senator Elizabeth Warren, who is running for the Democratic presidential nomination, supports the federal government issuing reparations to Black Americans who were economically affected by slavery, she said on Thursday, Feb 21st, 2019. In 2016 the UN Working Group of Experts on People of African Descent said that compensation is necessary to combat the disadvantages caused by 245 years of legally allowing the sale of people based on the color of their skin. The UN report, which was non-binding, specified that reparations can come in a variety of ways, including educational opportunities, psychological rehabilitation, debt cancellation and formal apologies. The U.N. report also linked past injustices to recent police killings of Black men that have sparked protests across the U.S.
“Contemporary police killings and the trauma that they create are reminiscent of the past racial terror of lynching,” the report said.